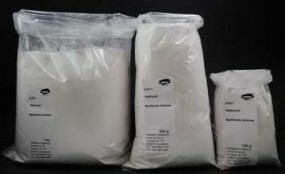 Methocel A4M | Thickeners & Stabilzing Agents | Water-soluble Binders | Mediums, Binders & Glues | Kremer Pigments Inc.
Methocel A4M is a quickly dissolvable, medium viscous methyl cellulose. Methocel A4M is soluble in water, dries matte and is extremely reversible. Methocel A4M has been used successfully for the consolidation of paint and wood.The dissolved Methocel A4M can be applied with a brush, sprayed or injected. Methocel A4M does not change colors of the treated surface and can be tinted with pigments. Customer evaluation for "Methocel A4M"